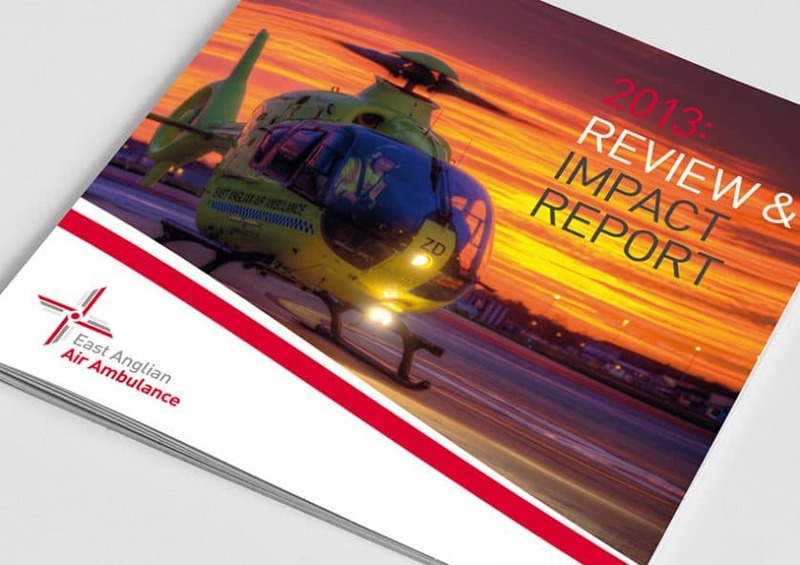 Annual Review and Impact Report designed for the East Anglian Air Ambulance. 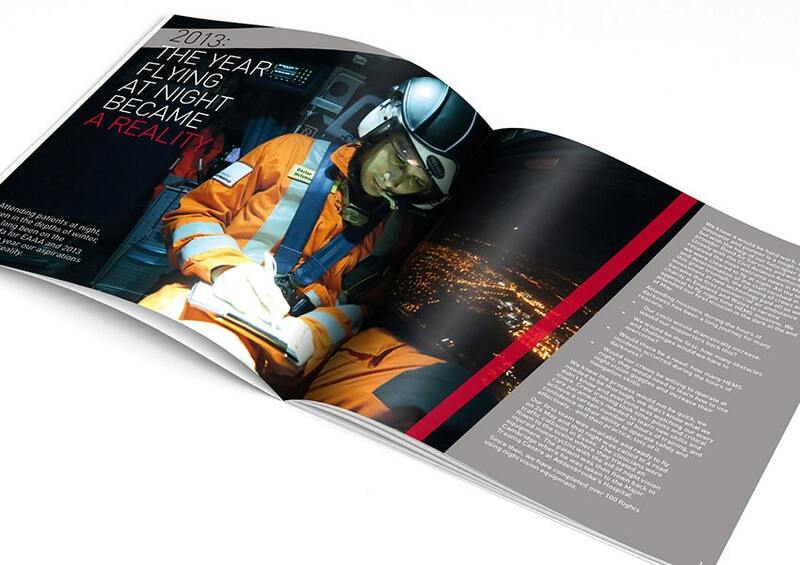 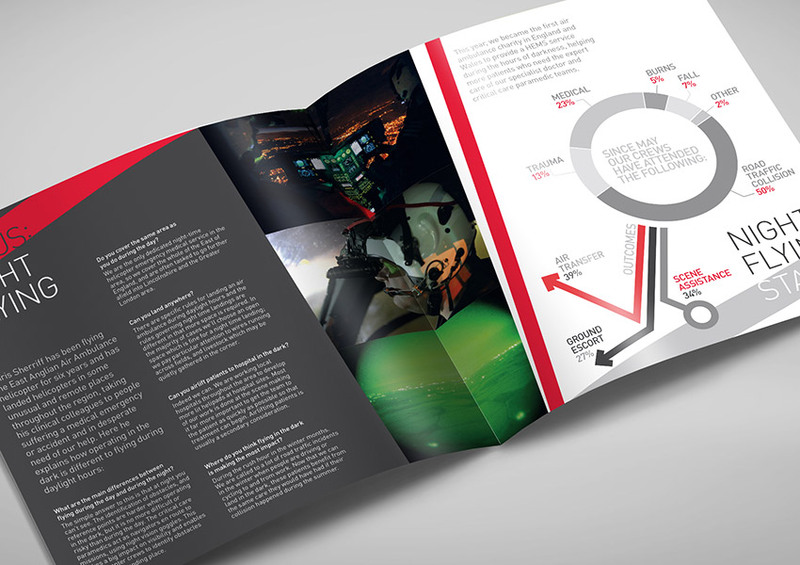 The report features a range of articles, news and statistics covering many of the charities achievements over the last year, including how it has become the first air ambulance service in England and Wales to operate a full night time helicopter emergency medical service. 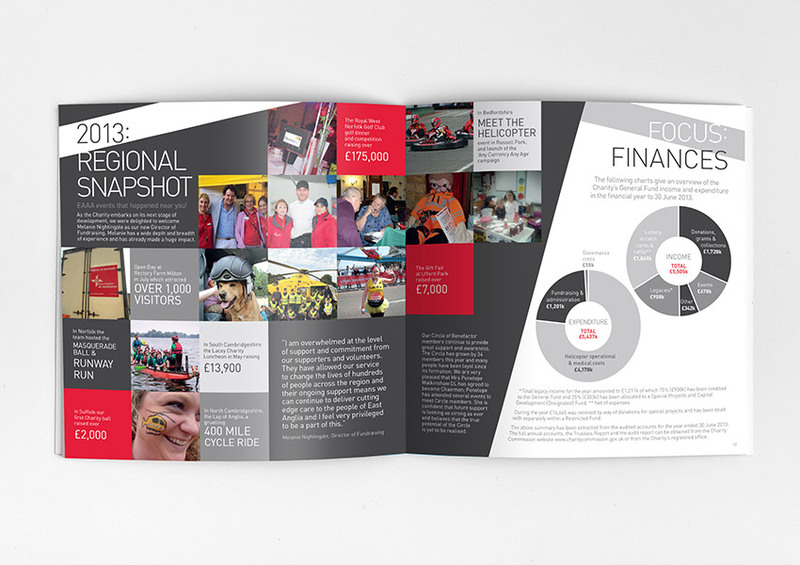 The design of the report features strong photography alongside bold typography, arranged within spaces created by intersecting angular elements taken from the logo rotor symbol.